Earlier today, The Financial Times reported that Apple was interested in buying supercar maker McLaren . Since then, McLaren has denied those rumors—though the Financial Times stands by its reporting—but that doesn’t mean the idea is without merit. When I first heard the rumor, I thought “this is insane,” but the more I thought about it, the more idea makes sense. Apple hasn’t confirmed that it’s working on a secret car project—but of course we all know that it is. Whether the Apple Car will be electric or self-driving (or both! ), the concept alone makes a lot of sense. Apple’s built a reputation on designing transformative hardware, and as the automotive industry invades Silicon Valley, it makes great sense that the company would want to expand in that direction. And Apple has already invested in hiring talent from other automakers and rival tech companies. So why would it make sense for Apple to buy McLaren, a company known for its supercars? Relatively speaking, spending $1.5 billion to buy up some of the best engineers in automotive might not be that crazy. Is that a lot of money for an acquihire? Sure. But building a brand new division overnight isn’t cheap either. Plus, as Road and Track pointed out, it’s not for the supercars. It’s for the tech inside those cars. Among its other projects, McLaren Applied Technologies has designed health-monitoring systems for stroke victims and amyotrophic lateral sclerosis patients based on F1 telemetry; created a scheduling system for Heathrow Airport that reduces flight delays; and worked with some of the world’s biggest oil and gas companies, pharmaceutical conglomerates, data-centre operators and sports brands. 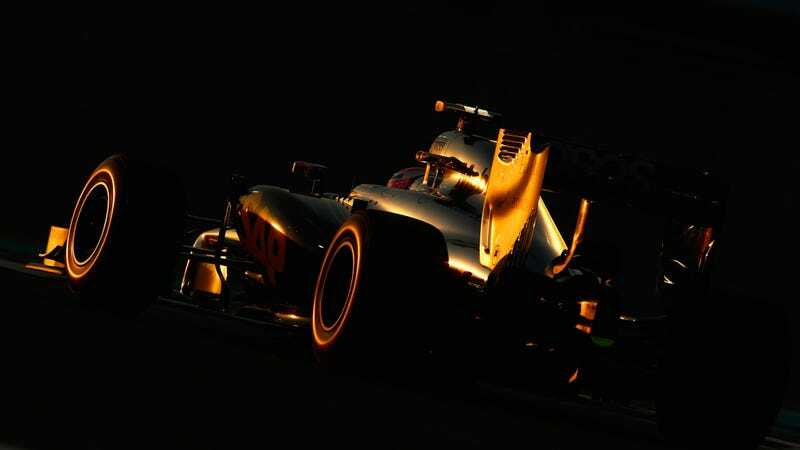 McLaren has transitioned into a technology group that happens to have a successful F1 team. Even if we ignore Apple’s plans for automotive, the sort of stuff McLaren could do to help tighten Apple’s already famous supply chain could have great industrial benefits. Plus, as our friends at Jalopnik point out, it would make sense for Apple to buy a company that would have the know-how of manufacturing a car—and would have technical know-how for what is coming down the pike in the world of automotive. That’s the thing that separates a company like McLaren from a larger, more mainstream car company. The technology that McLaren is building for its supercars will eventually trickle down into the cars we all drive. Why not buy that company, especially if you can get it cheap? Apple did something similar back in 2008, when it purchased a little-known chip company called P.A. Semi for $278 million. That purchase was one of the best decisions Apple has ever made, because the P.A. Semi team created the base for Apple’s A-series mobile chipsets. Apple’s control of its silicon is one of the things that keeps it besting rivals when it comes to benchmarks and efficiency. It’s cutting edge stuff, and it’s put Qualcomm and Samsung on notice. Look, maybe Apple won’t buy McLaren. But buying a supercar company is actually a very sensible idea.